What Happens When Marijuana Becomes Legal? 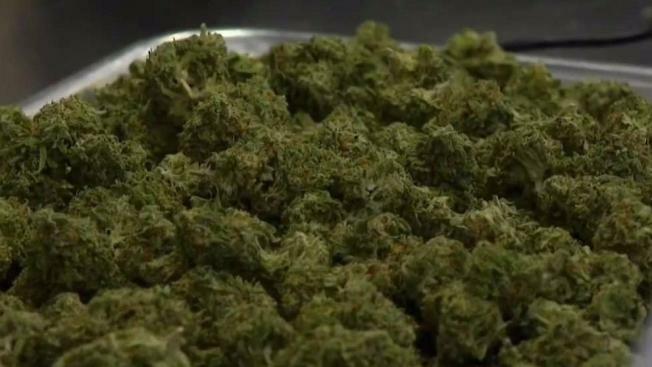 The sale of recreational marijuana in Massachusetts becomes legal on July 1, but just days ahead of the deadline, no stores have been issued licenses. Starting July 1, if you're over 21, you'll technically be able to buy marijuana in Massachusetts. But finding a place that will sell it to you is another story. "We're seeing a slow roll-out, primarily due to resistance at the local level," said Jim Borghesani, who was part of the team who pushed for the end of pot's prohibition. Right now, Sira Naturals is the only organization with a license to grow recreational pot. But it does not have a license to sell it — no one has one of those licenses yet. Once the stores are opened, you probably won't be able to recognize them from the outside. "It's not going to look like a package store, tattoo parlor or a smoke shop," Borghesani said. "You won't be able to see any products from the windows." You also won't be seeing any pot bars or cafes anytime soon, if ever. That's because the Cannabis Control Commission decided to table that. The agency says it will start up the discussion again for social consumption licenses in February 2019. So how can you even get pot after the ban is lifted? You could grow your own. The new law allows a person to have six plants, or 12 in a household, but where can you get the seeds? Borghesani says you'll likely run into problems finding a place to buy them. Once you get a joint, an edible or any other form of legally-purchased marijuana, the question becomes where can you consume it. "Any consumption of cannabis in public places is prohibited under the law," Borghesani said. You can't use pot in the Boston Common or your own college dorm room. And if you live in an apartment, your landlord can prohibit you from smoking pot there, just like tobacco. Hotels that are smoke-free can say no to smoking pot, as well. If you have pot and you're thinking about driving it to New Hampshire, Boghesani says you cannot transport a federally illegal product across state lines. That means you can't fly with your marijuana, either, even if it's to another state where pot is legal. And if this all sounds incredibly restrictive, Borghesani says that's the point. "You will be able to go into a safe, secure location that checks IDs, that pays taxes, and you'll have a sort of educated shopping experience with cannabis," he said.